At the weekend I attended my first ever hen party. I was incredibly excited (not just for lots of prosecco), but it was my sister-in-law’s final celebrations before she and my brother get married next month. 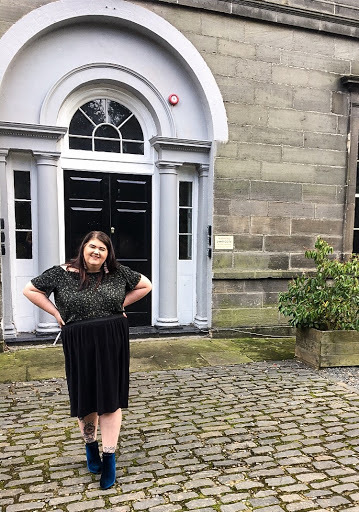 We spent the weekend in our favourite city of Newcastle, and stayed in the most amazing house (IT WAS HUGE), where we had garden afternoon tea, a South African tradition, played games and probably drank a little bit too much, before heading off into the city for cocktails. 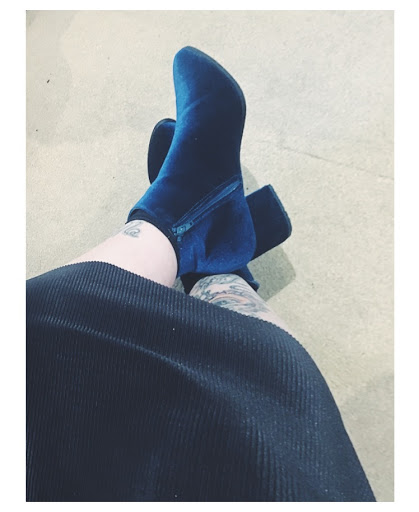 I was slightly unsure what to wear for the day, and after spending hours before work shopping, I finally picked up the most amazing royal blue velvet boots! 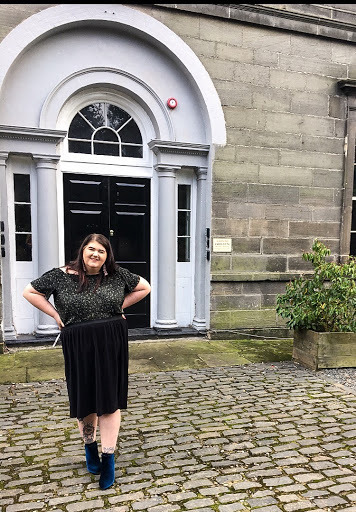 I aimed for something comfortable yet dressy and they definitely delivered- I received so many compliments for them on the day. The boots are slightly pointed, with a comfortable block heel and a zip down the side for easy wear. For just £14 from Primark these little boots are an absolute bargain. In a range of colours and textures, I think I may be heading to Primark to pick up another pair, as they are certainly ideal for the upcoming season. I paired the boots with a green and blue leopard print, off the shoulder top from New Look and a mid length black skirt, also from Primark. The top and skirt both had a ribbed like texture to them and so worked very well together. My first hen party experience was amazing, though I must admit my head suffered a bit the next day- never trust a punch bowl! Though it was an incredibly special day and has made me even more excited for the upcoming wedding.